Today at Google I/O, I got some hands-on time with the brand-spanking-new Nexus 7 tablet. We've been pretty sure it's coming for a while now. Now that it's been officially unveiled, along with the newest version of Android, everybody and their gadget-loving grandma is chomping at the bit to see if the hype has been worthwhile. In a word, yes, it has. Mostly. While my time with the Nexus 7 was limited, Android tablets are a sort of beast that are rather easy to evaluate quickly, mostly because they're all pretty similar. 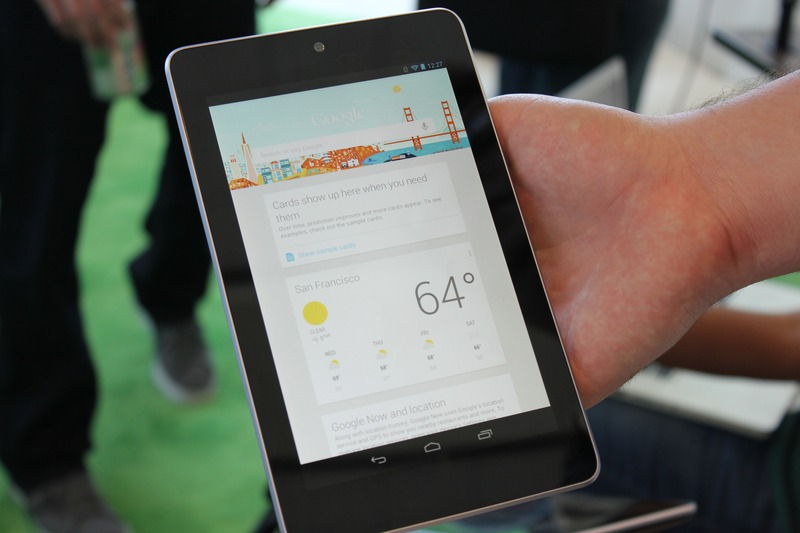 Now, the Nexus 7 is by no means a normal Android tablet, it's much better than that. And that's mostly because it's the only Android tablet with Jelly Bean right now, but there are other characteristics that make it a stand-out device from the get-go. From an aesthetic standpoint, this thing isn't particularly pretty. Then again, for $200, what do you expect? 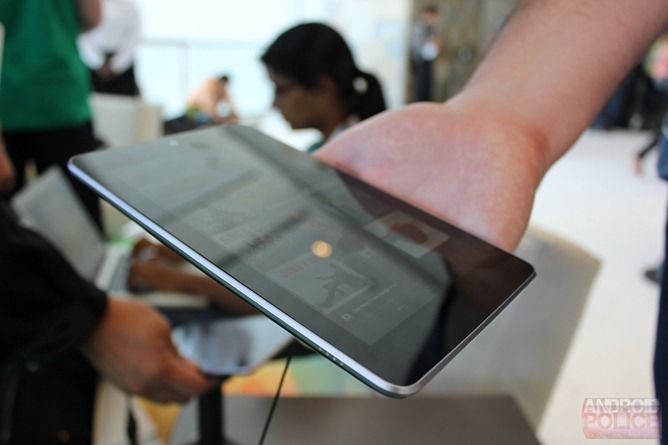 The Nexus 7 makes up for what it lacks in beauty in the form of practicality. The rear cover is actually coated in a sort of rubberized silicone material, not just plastic, making it very easy to get, and more importantly keep, a grip on. And while it isn't not exactly a work of art, it's by no means disgusting to look at. And the grippy rear cover is one of several good design decisions ASUS and Google have made here. The next is the orientation and location of the power and volume controls - both are on the right hand side. A power button on top of a tablet doesn't make sense, especially on one you're often holding in portrait orientation with one hand. 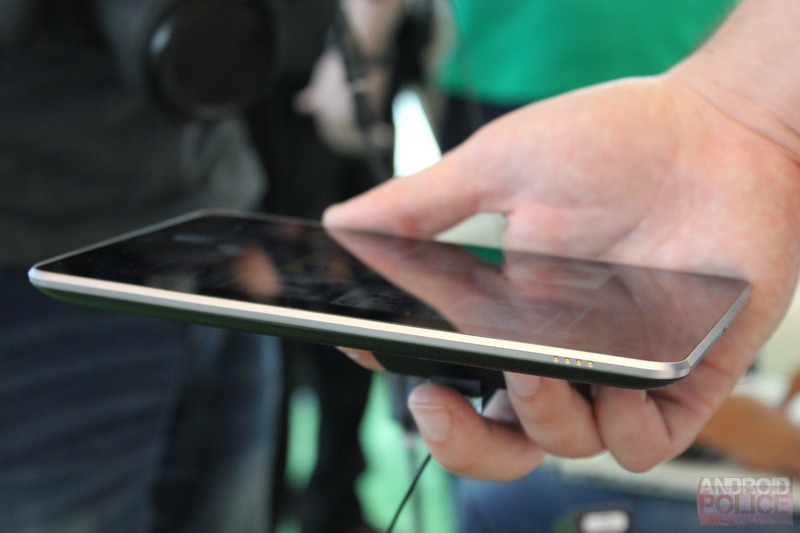 The Nexus 7 is light enough to manipulate with one hand and power off with one hand, and the volume controls are directly below the power button, with an adequate space between them to avoid confusion. 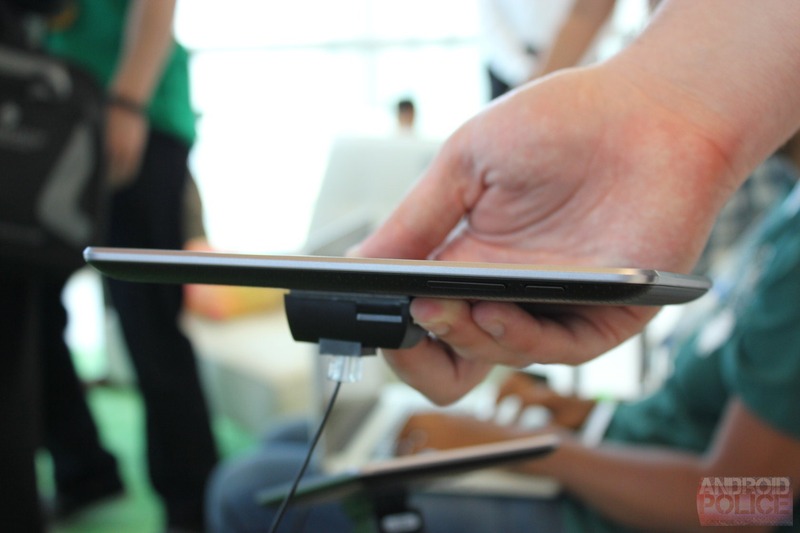 So many tablet makers skip "ergonomics 101" on this. Another practical idea? No proprietary multi pin cable nonsense. The Nexus 7 charges and transfers data via a microUSB on the bottom of the device - the same cable you use for these tasks on your Android phone. A commitment to openness or simply an economical implementation, whatever you want to call it, it makes sense. 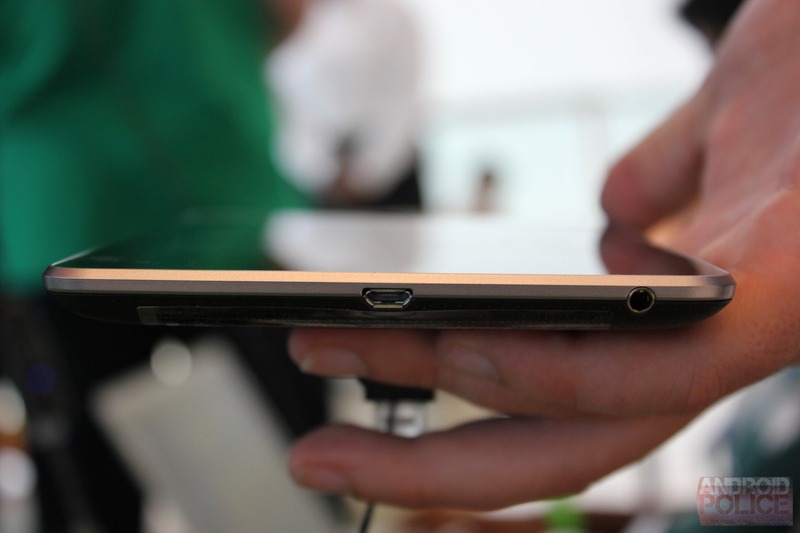 The headphone jack is on the bottom as well. The Tegra 3 chip powering the Nexus 7 is most likely part of NVIDIA's Kai reference platform, as are many of the components. Everything seems to hum along nicely, and Google promises 9 hours of HD video playback, not bad at all. The display, at 1280x800, is the right resolution for a 7" tablet. 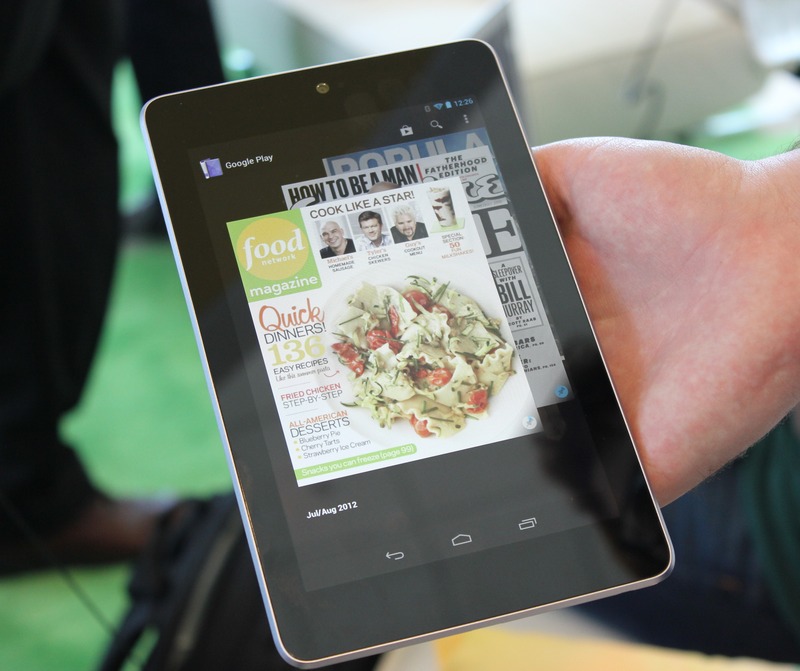 1024x600 is just too low, and it's one of the reasons I hesitated on buying a Kindle Fire. Display technology is evolving so rapidly in this space, and a lower resolution just wouldn't cut it. Will the 1280x800 be "class-leading" in terms of DPI (215)? No, but it's more than good enough for a $200 device, and at least ensures you'll get true 720p video playback should you desire it. Aside from resolution, the display seems average. Viewing angles are decent, but impaired in some respects by what is a pretty glossy glass panel. Storage is a paltry 8GB in the $200 model, but Google is heavily pushing cloud-based media as part of the whole Android experience, so it seems they've decided to put their money on consumers not caring about gee bees. A 16GB version brings the cost up to $250, should you desire more. Still, without an SD card slot to expand these figures, Google will certainly incite extreme ire from those who believe leaving out such an option is basically tantamount to drowning puppies in a river. We didn't really have time to mess with the camera, but let's be frank: it's a tablet, if you're using it as a camera for anything but taking photos of text or Google Goggles, you just look ridiculous. And neither of those things require a cutting-edge 8MP BSI sensor. 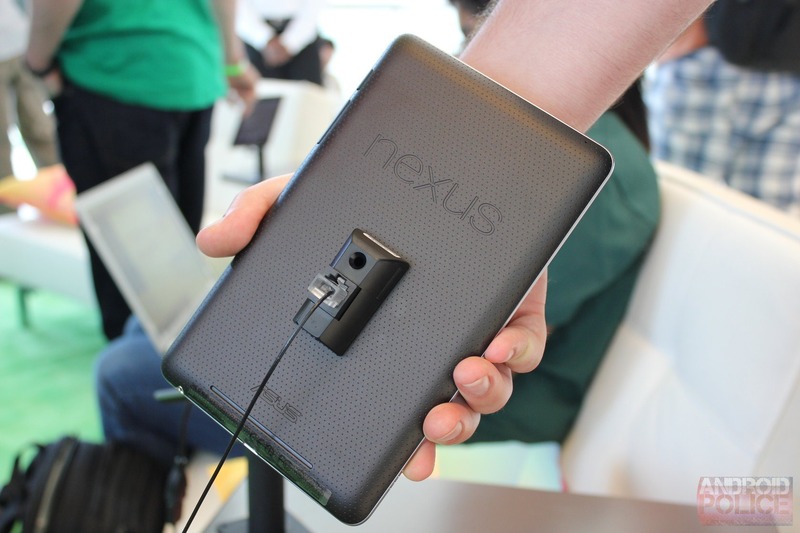 This is the more interesting part of the Nexus 7 for most people, undoubtedly, and for good reason. Android 4.1's "Project Butter" has definitely improved the smoothness of Android by leaps and bounds. Ice Cream Sandwich was fast, but it was undoubtedly victim to the occasional stutter or frame skip during complex animations or intense operations. Jelly Bean has smoothed out a lot of this in a number of ways, and everything looks a lot better as it happens for it. But is it revolutionary? I'd say the experience is a very noticeably better than it was before. But it's not like they still couldn't make it better. Two areas where Android has always shown lag are the recent apps menu and the widgets section of the app drawer. The recent apps menu still takes a while to come up, and when you reach the widgets section, the frame rate still drops. These are more likely limitations of the hardware powering the Nexus 7 than Android itself, but my point here is that it's not like Google has suddenly made Android lag-free. Animations are definitely much smoother and better-looking, and things do feel faster, but it's certainly not impossible to make Android trip over itself for a few tenths of a second here and there if you get aggressive. 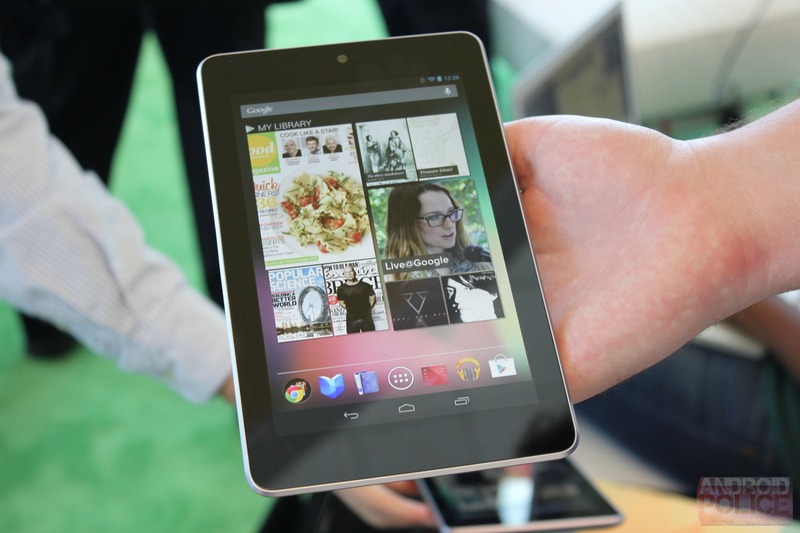 But for $200, the experience the Nexus 7 provides definitely belies its price - it runs like flagship hardware, certainly faster and smoother than the Transformer Prime or other modern Android 4.0 tablets. How Android 4.1's smoothness improvements will fare in those devices (and others) is really the bigger question. If a $200 tablet is just as fast as a $500 one, that spells trouble for the premium Android tablet market (small as it is). So what else is new in Jelly Bean? 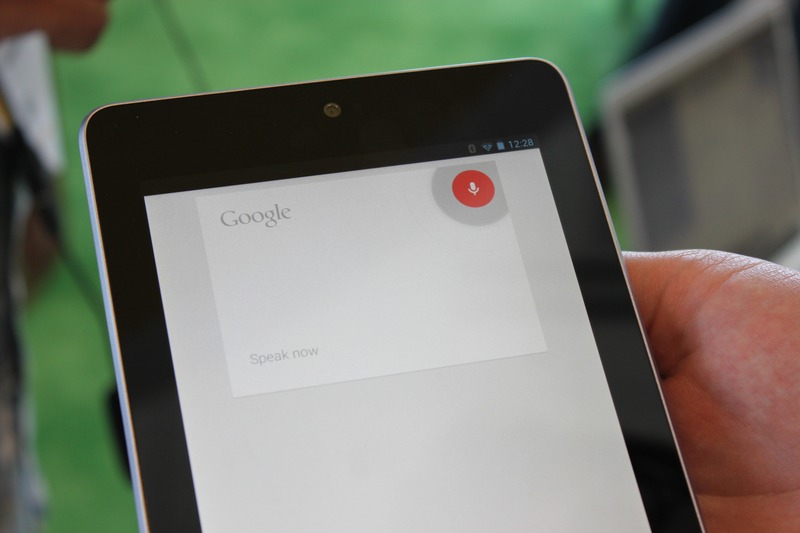 Search is probably the standout change, as we've now got Google Now. The Google Now "home" page you get when hit the text search bar is brilliant. It's so, so pretty, I absolutely love it. It is a style that is, a bit funnily, more reminiscent of some of Microsoft's new products than it is Apple's. It's minimalistic, and presents information in tiles of sorts. It'll tell you all sorts of stuff when you sign in with your Google account, too, but that's for another article another day (eg, the full review). You can also bring up search at any time by swiping from the bottom of the screen at any point, in any app. It's wonderful. The new voice search works great, accuracy seems noticeably improved. Even at the loud booth where we tried out the Nexus 7, it had no problem understanding my words, and that's probably in part thanks to Google's new predictive text engine. From what I can tell, this predictive engine is also applied to voice queries, with the algorithm determining based on some of the words whether others should be changed. The Siri-like direct answers Search can now give seem to be limited in variety at the moment, but they'll undoubtedly grow over time. 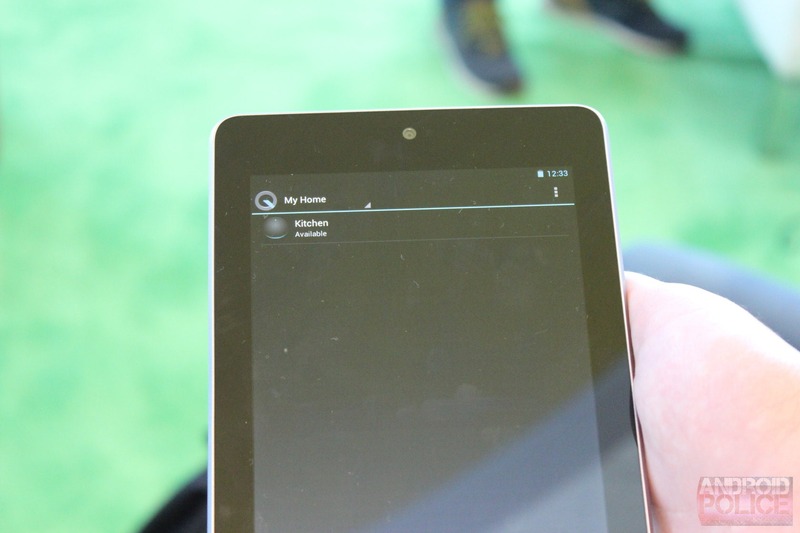 The overall look the Android 4.1 UI on the Nexus 7 is basically "really big Android phone." The pulldown notification bar feels really out of place, it's difficult to reach in portrait mode, and it just looks awkward. The action bar with the app drawer is something I actually like. The giant "Your Library" widget would probably be the first thing I'd get rid of on my Nexus 7. It looks pretty, but in terms of actual functionality? Useless. I know where my media is, and I can create shortcuts to the apps I get it from a lot more space-efficiently. Good try, Google, but icons are just too useful to sacrifice my primary homescreen for your artsy collage. I'll say it again: for $200, Google and ASUS have made something very worthwhile here. 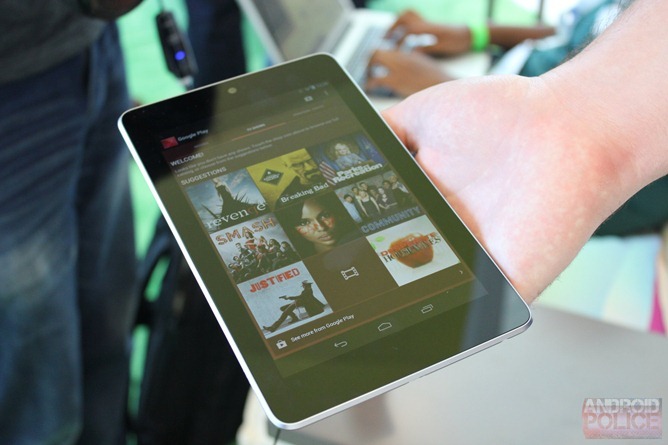 Android 4.1 is a big step forward, and the Nexus 7 itself looks to be a potential market disruptor (look out, Kindle Fire). Google has done its homework (mostly) on what average consumers want, and is even going to dangle a $25 carrot in front of them to get them on the content purchase train (each Nexus 7 comes with $25 prepaid on the Play Store). Today, it's clear from a hardware and software perspective, Google has one-upped Amazon. Amazon still beats Google for content, but I guess we'll see how much that really matters in the coming months. Begun, the cheap tablet wars have.